**Helpful hint if you’re using a GPS to help you get to us: 1071 Edgemoor Road, Clinton, Tennessee is a very close approximate address for us. You should get very close to our front door if you use this address for navigation. 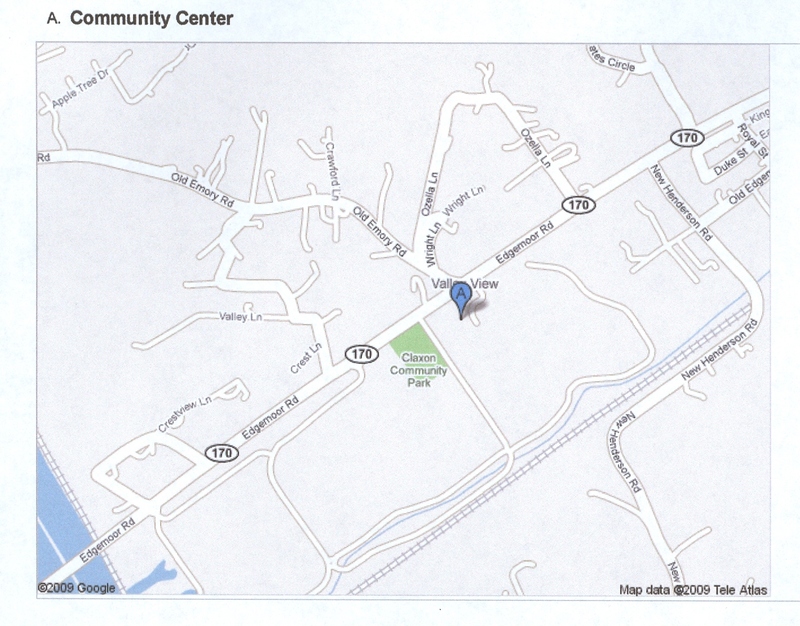 To get to the Community Center, enter the parking lot from Edgemoor Road, turn between the baseball fields and the Claxton Community playground. Follow the road around the playground and on behind the Community Center. Please park in the gravel lot at the front of the Community Center. The Claxton Community Center is the brick building to the left of the playground. Go past the Bull Run Steam Plant and look for the Claxton Country Squares sign on the right, across from the Marathon gas station. Drive approximately 2.5 miles on Edgemoor Road, then turn left between the baseball fields and the Claxton Community playground. Follow the road around the playground and on behind the Community Center. Please park in the gravel lot at the front of the Community Center. The Claxton Community Center is the brick building to the left of the playground.